From its office in Fayetteville, North Carolina, Conormon Law Office represents service members from around the world as well as civilians. As founders of the Military Justice Center, both of the firm's attorneys have experience as judge advocates and understand the issues facing military personnel. In addition, the lawyers at the firm have extensive experience with personal injury, criminal defense, medical malpractice and wrongful death cases. 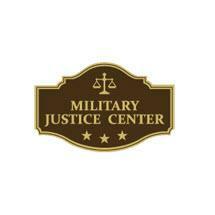 When you need an experienced civilian attorney who practices military law, look no further than the Military Justice Center. We assist service members of every branch of the military, as well as their family members and other civilians. We provide professional services with personal attention for every case.